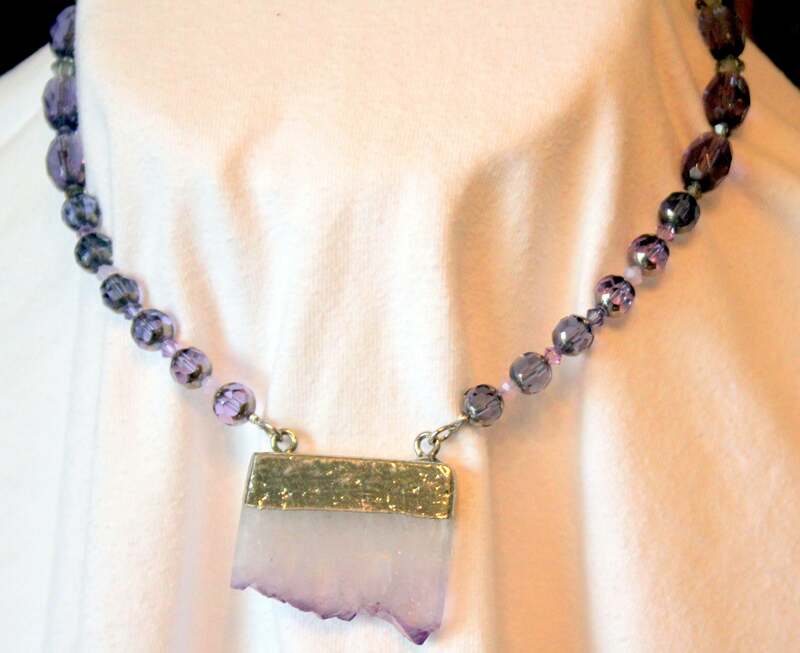 If you love amethyst, this piece will appeal to you. 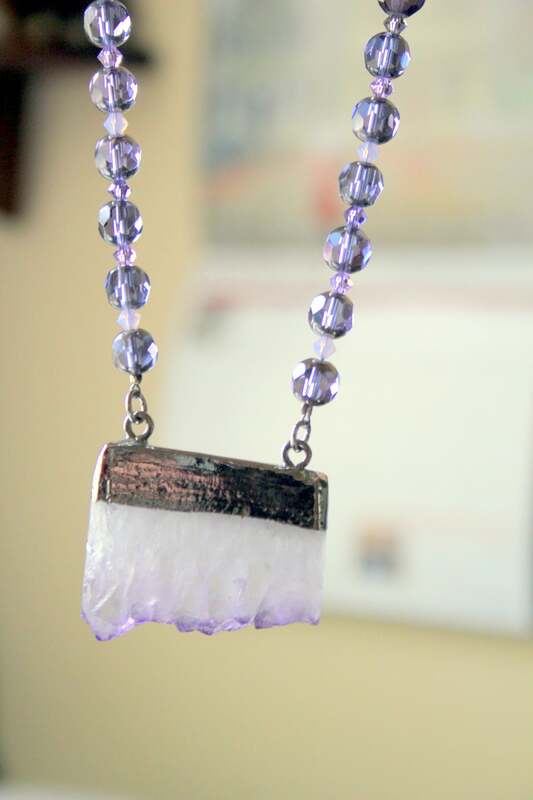 The flat slab amethyst crystal is polished on the front and back and left raw on the bottom edge. There is a concentration of the purple color in the edge. It is capped with a silver tone bezel that looks like it has been dipped in silver. 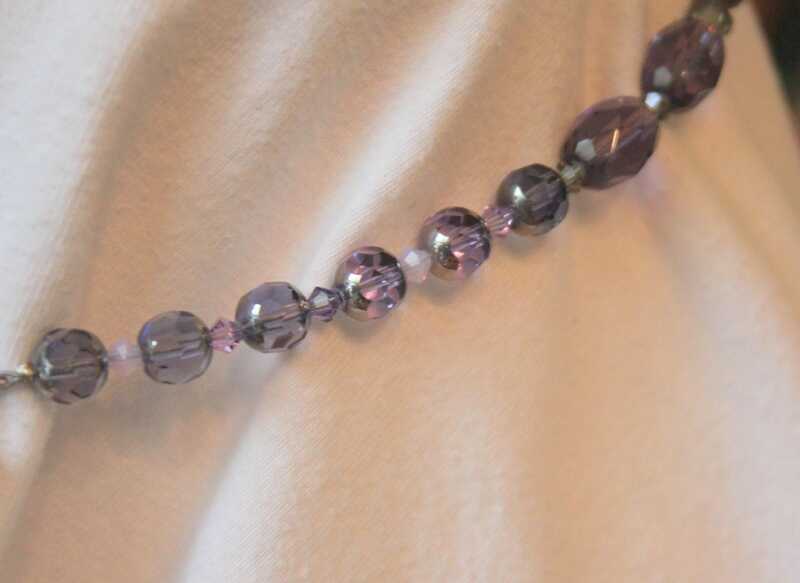 The necklace is strung on faceted lavender crystal beads, spaced with smaller opaque and clear lavender bicone glass beads. 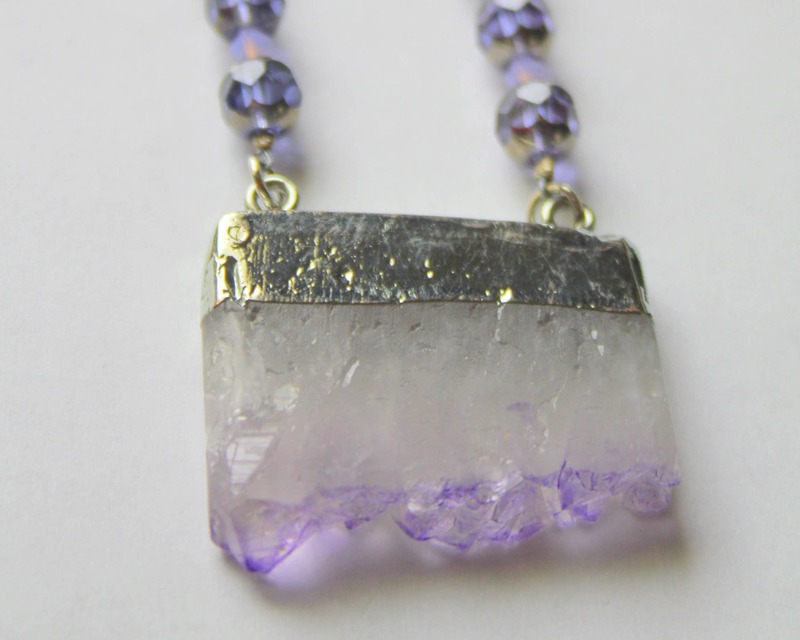 The neckline decreases into a strand of lavender and clear droplets. 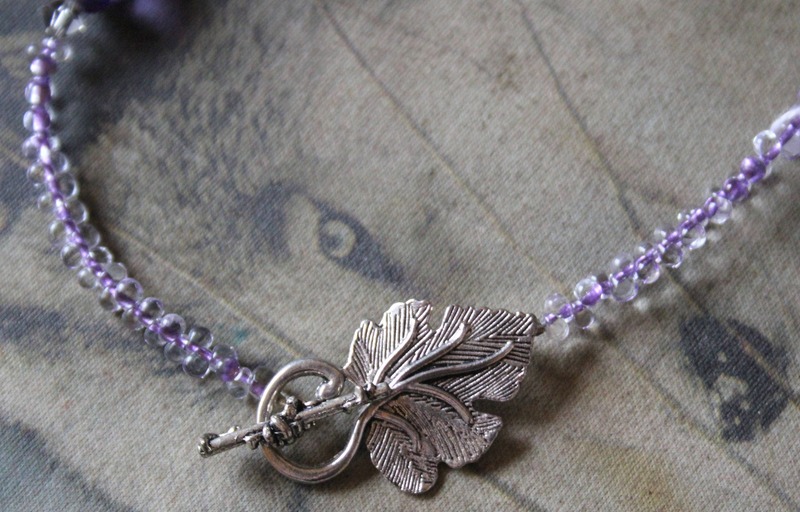 The clasp is a silver toned leaf toggle. The necklace is 18 inches long and is simple yet elegant. As with all my pieces, the workmanship on this necklace is guaranteed for one year from the date of purchase. My pieces arrive in a gift box with my card ready for gift giving or as a special treat for yourself. Thank you for stopping by my Etsy shop … the Moon Cradle Studio - enjoy and I hope you visit often! Shipping depends on where you want the piece shipped. I accept PayPal and major credit cards. Jewelry is shipped in a padded envelope or box depending on size and includes a gift box. Prints, cards and original artwork ships in appropriate containers and tubes. International Buyers will be responsible for any possible additional taxes with customs relevant to their country. I accept custom orders and am glad to talk to shops and buyers about consignment and wholesale.